I welcome the announcement from the prime minister. The Scottish Conservatives stand ready for the campaign ahead and are hugely confident of increasing our number of votes and seats. This general election is the only way to ensure we have strong leadership, certainty and stability. An election now will give the country stability and certainty not just up to the point at which we leave the European Union but beyond it too. In Theresa May, we have a strong leader who puts the national interest first and gets things done. When she became prime minister after the referendum, the priority was to provide economic certainty and strong leadership – she has done exactly that. Since Brexit, Nicola Sturgeon has tried to pretend that every Remain vote in Scotland is somehow a proxy vote for independence. It is however simply not true and thousands of Scots will be given the opportunity to show just that on June 8. Scotland, along with the rest of the United Kingdom, will be leaving the European Union. We need to ensure that we get the best possible deal in the upcoming Brexit negotiations and the choice facing voters in the north-east couldn’t be clearer – vote for Theresa May as prime minister to strengthen the United Kingdom’s hand as we fight for that good deal, or vote for Jeremy Corbyn to be the prime minister sitting across the table from Angela Merkel and 26 other countries trying to make Britain’s case. The negotiations will reach their most difficult stage in the run-up to the next scheduled general election. It doesn’t bear thinking about. The last time Labour leader Jeremy Corbyn came to Scotland he said an immediate referendum on independence would be ‘absolutely fine’, making it clear that the Labour party simply cannot be relied to stand up to Nicola Sturgeon and her party. Voters in the north-east know that the Labour party is far too weak to stand up to the Scottish National Party and has a UK leader who would happily do a deal with Nicola Sturgeon. Only Theresa May has the leadership abilities to get the best possible Brexit deal for the whole of the United Kingdom, and only the Scottish Conservatives can be trusted to stand up against an unwanted second independence referendum. 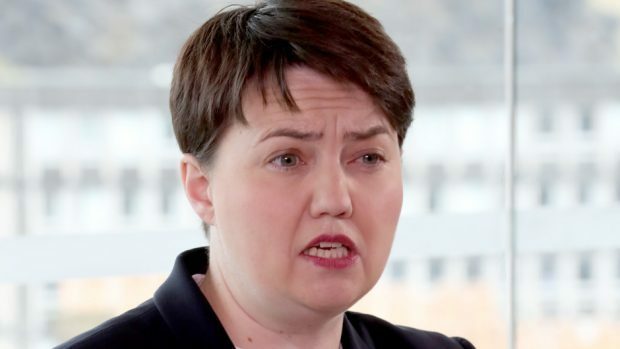 The Scottish Conservatives will be fighting a Scottish-wide campaign in this election. Our aim is to gain support from all over the country. We will be fighting for every vote.